Midwestern Gothic staffer Kristina Perkins talked with author Jardine Libaire about her book White Fur, struggling to be a midwestern insider, mindfulness in writing, and more. Jardine Libaire: My main connection is the two years I lived in Ann Arbor, 1995-7, when I got my MFA at the University of Michigan while working as a cocktail waitress at the Bird of Paradise jazz club there. I lived in a development that I think was called the Strawberry Estates, and living there felt a bit anonymous, and like a bridge from school to adulthood. There were only twenty or so students in the Hopwood MFA program, and a handful of (great) teachers, so school—for the first time in my life really—didn’t provide a readymade society. This was exciting and also lonely. Memories include starting my car (a tacky little tinted-out gold Jetta) in the deep winter before going back inside to have breakfast so that the engine could warm up enough to drive; realizing this was not the east coast nor the west coast, and that I had a lot to learn; getting my mind blown by Detroit when I went to see music there; partying with a local news anchor in Shaker Heights, Ohio and watching her throw up into an indoor pool at the end of the night; knowing I was an outsider, wanting to be an insider, knowing I didn’t know how to make that happen in two years and leaving somehow enriched and defeated. KP: You spent four years at a boarding school in Connecticut. You earned your MFA in Ann Arbor, Michigan. You’ve lived in Brooklyn, New York and Austin, Texas. How does your sense of place—and, with it, your sense of belonging—inform your writing? JL: Writing to me (ideally, hopefully) starts with being mindful, being present of where I am, and so location is often an entry point in thinking about things. Location is also available to study in a way that people aren’t sometimes, if that makes any sense. If I want to drill down and get into a piece of writing, find a way into it that feels real and not like literary fabrications, I often start with a place—either a town, or country, or one square foot of a street, or one particular room, or a field at a certain time of day in a certain season. Then I can figure out some language or detail that feels true and fresh to me, and then I can be excited about the piece. Being excited about it feeling real is so important because even though the piece might still be a mess, that’s what makes it possible for me to sit down to it and work. Growing up on Long Island, on the south shore, my brothers and I would just ride our bikes for endless hours, investigating miniscule stuff, the details that kids get hung up on—a dead seagull could take up a whole afternoon, an abandoned house could provide new information for months. I love feeling like I’m on that level of exploring when I write, just picking up garbage and leaves and walking slowly through hallways and surveying the candy rack at the deli forever. Moving around my state, this country, and internationally when I’m lucky, even if it’s just for a minute, always stirs up my heart. In addition to those places listed above, I’ve also lived for a month or more in a bunch of other places, from Vashon Island to Costa Rica to Paris to Wyoming to Vail to Cape Cod to Charleston. I’ll jump at offers of off-season vacation houses from friends—I spent a winter on Martha’s Vineyard, a summer in a ski house. Those month-and-then-some trips have always opened me up to new thinking, new sensibilities, since “place” is physical, but also cultural, and so it’s the people who live there, and it’s how they live, and what they believe that gets “visited”. And being in a new place is the quickest way I know to wake up, to turn on all my senses and be aware of the moment and the environment. If I’ve gotten into a rut of daily life, then going to a new place for one, two, three days wakes up all the stuff that is good for writing. KP: Thirteen years passed between your debut novel, Here Kitty Kitty (2004), and your newest novel, White Fur (2017). How would you describe your growth as a writer between and among these books? The first thing I worked on after Here Kitty Kitty was a television series I dreamed up called The Desire Project. In 2005 I lived in Williamsburg, Brooklyn, which had blown up artistically (for good and bad), and I conceived of a show that was part scripted, starring a character who had her own cable show, and then partly unscripted, using actual interviews with the skateboarders, DJs, sculptors, drag queens, etc, who she had on her own show. I actually shot the pilot with friends, and while we didn’t sell it, it introduced me to the experience of collaboration, and also got me crazy for creative nonfiction. After that, I pitched a TV series treatment about the modern boarding school, and how strange and dark and wonderful it can be, and the project instead turned into a four-book YA series with Harper Collins that I wrote (under the pen name Caroline Says) with two friends I went to boarding school with: The Upper Class series. I moved to Austin 10 years ago, and found my way into a loose collective of lunatics and artists headquartered around this place called Justine’s Brasserie, and we have been dreaming up and staging big immersive art events for the past seven years. I also got invited to write the text for a nonfiction book by the photographer Phyllis B. Dooney, and I spent time in the last couple years in Greenville, Mississippi with the family who stars in the book, and we published it earlier this year: it’s called Gravity is Stronger Here. I also started writing screenplays and obsessing over that format in the past decade, so when White Fur got optioned last year by FilmNation for TV, I was able to adapt and develop it myself, and we just got picked up by Amazon Studios. In terms of growth, I see myself—through the years since Here Kitty Kitty — discovering and relishing the joy of working with other people and with their imaginations. I love the “real” and the “unreal” meeting somewhere and joining forces, and I love rethinking what nonfiction means, and what fiction means. Allowing writing to merge with my life. KP: White Fur embraces the gritty, the raw, and the heavy, discussing themes such as drug use, mental disorder, racism, and poverty. When conceiving your plot and characters, how do you find balance—in the form of hope, love, or growth—within this heaviness? JL: There were times when I was writing White Fur when the balance was off, it was too negative, and I have to admit, it felt grim, icky, to be involved. It became a process not unlike some sort of self-care to recognize that this imbalance was happening, and, as in life, to seek out the positive. And that rhythm of ups and downs is woven into the book itself because of that process. In life, I’m often overwhelmed or enchanted by the darkness and the ugly parts, and just as overwhelmed and enchanted by the beauty and the joy and the eccentricities too. So I kept calibrating the book to some internal register of what felt like a correct ratio. White Fur is a little bit noir, so it does lean slightly more to the sinister than (in my eyes) life does. But not much. KP: Your prose—easy, graceful, precise—often reads like poetry. Notably, you switched from studying poetry to pursuing fiction halfway through your MFA at the University of Michigan. How would you describe the relationship between your prose and poetry? What does this sort of lyricism add to a novel? JL: First of all, thank you! Well, I’ve done experiments trying to write in a more straightforward and storytelling manner, focusing purely on plot and conventional detail, to see if I could do it. And I realized that for me the story is in the tiny details, the juxtapositions, the meter, and the shape of the lines, to a large extent. Those aren’t ornaments or cherries on top, they’re the meat of the story. If I’m not able to write using a poetic sensibility, I can’t really make a story. I wish I could. If anything, I try to alternate modes—between poetic and more prose-like, so there will be a scene which feels like a standing pool of details and ideas and sensations, and then I’ll push the next scene to be more active and streamlined. But I can’t seem to abandon poetry completely for prose. To mention noir again, I think it was in Raymond Chandler books that I realized even very plot-driven stories can pivot on the jewel in the stickpin in the strangers’ lapel—not that it’s an outright clue, but it brings the scene to life. Even mysteries can be driven by a tiny little detail chosen and used the way it would be in poetry. I don’t know that the poetic element adds lyricism as much as that the lyricism is simply in the DNA of any story I’m writing. It can’t be broken down and summarized as concrete plot points or themes in a Cliff’s Notes way, but the lyricism is an essential engine in communicating to the reader what is happening, what is at stake—it is the action, it is the character development, it is all the things that another writer might be able to do in something more akin to prose. KP: In previous interviews, you’ve discussed your own shyness. How does introversion affect your identity as a writer—if at all? JL: Oh my goodness, I think being introverted for me is at the core being a writer. From a very young age, I can remember feeling outside looking in, and I can remember wanting to connect, and those feelings are braided into feelings about wanting to make meaning out of life. I remember reading the Joan Didion essay “On Keeping a Notebook” for the first time, where she talks about how some people are born needing to rearrange things on paper all the time, and my reaction was: oh wow, so this is a thing. This is something other people experience the same exact way. It was like looking up some bizarre set of symptoms on webMD, and feeling relief that it had a name. Because from the earliest age of consciousness, I can remember this incredible drive to rearrange things, or make sense of them, or push them past how they began (and ended) in reality toward some new existence. And then for me it’s been a learning curve in that I’ve gone from being a fairly heavy drinker and “party person” who relied on that lifestyle to get out of innate awkwardness, to connect to other people, to feel like I have freedom and agency—to becoming sober almost 5 years ago. I finally realized that the general discomfort I’ve often felt over the years (that is associated with introverted-ness in my mind) is so important, and should not be numbed or rampaged over. It’s out of that discomfort—and a need to resolve that discomfort—that writing comes. There is tension between my consciousness and the world, to put it another way, and I write to try to rectify it. So by drinking it away, I was forfeiting this incredibly valuable situation. KP: What is the best piece of writing-related advice you’ve ever received? JL: I hate when I hear writers say there’s no secret, no back route, no shortcut to creating work, and I also love it, because it shuts down my fantasies and I have to embrace that the only way out is through. The draft is always going to be a mess until one day when it finally feels slightly more ordered than disordered, and the only way to get there is to keep working and keep working. Whenever I’m reminded of that by a writer talking about their own work, it revitalizes me to go out into the brush and keep forcing a path. I also try these days to treat myself kindly, to gently push myself to work, as opposed to when I was younger and I would be mean and cruel to myself if I didn’t get it done or if I didn’t show up. It was in meditation classes that I was told it’s not effective to berate myself if I drift—that I should just gently lead myself back. This was quite revolutionary advice when I heard it. To work steadily, with a discipline enforced gently—that’s a compound of ideas I’ve found myself relying on more and more. JL: The reader who will not only tolerate something unfamiliar, something strange and not easily categorized, but the reader who actively wants that. JL: I’m writing the TV series of White Fur now, and we’ll see if we can get it greenlighted into production. That’s a truly fun collaboration, as of now, since I love the producers and the director. I’m also finishing a book about a teenaged girl who is deaf, and who falls in love with a cheetah at a West Texas biker compound. I facilitate a Truth Be Told class at a prison here in Texas, too, in which women learn to write their own stories, to sort out their own lives, to trace, and to describe the path that led to where they are now. It’s a beautiful, humane, dynamic curriculum, and so a lot of my heart is currently invested there too. I’m making these weird tiny little zines with my artist friend Beth Middleworth, just because. And I’m also working on the next event at Justine’s here in Austin, which will be a protest fundraiser to benefit HALT, and will star a Marilyn Minter “Resist” poster she made for us, and will involve musicians and set designers and other friends and family, and will be imperfect and chaotic and full of life and art and love. Jardine Libaire got her MFA in Writing from the University of Michigan, having loved writing and books since she was a kid. Her most recent novel White Fur (Hogarth) was published in May 2017, and was chosen as a Barnes & Noble Discover Selection, an Amazon Best Book, and a Book of the Month Club pick. Her first novel Here Kitty Kitty (Little, Brown & Co. 2004) will be re-published by Hogarth in 2018. 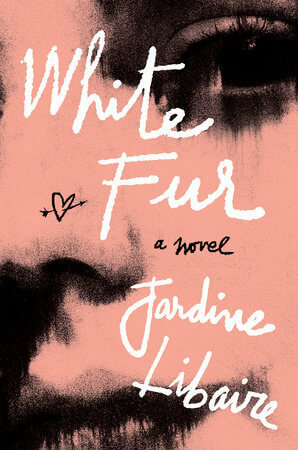 Her television-series adaptation of White Fur with FilmNation Entertainment just landed a home at Amazon Studios. Her creative nonfiction collaboration with photographer Phyllis B. Dooney, Gravity Is Stronger Here, (Kehrer Verlag) came out in April 2017. She’s been a recipient of the Hopwood Award, the Glascock Poetry Prize, and Honorable Mention for the Dorothea Lange-Paul Taylor Prize in Documentary. 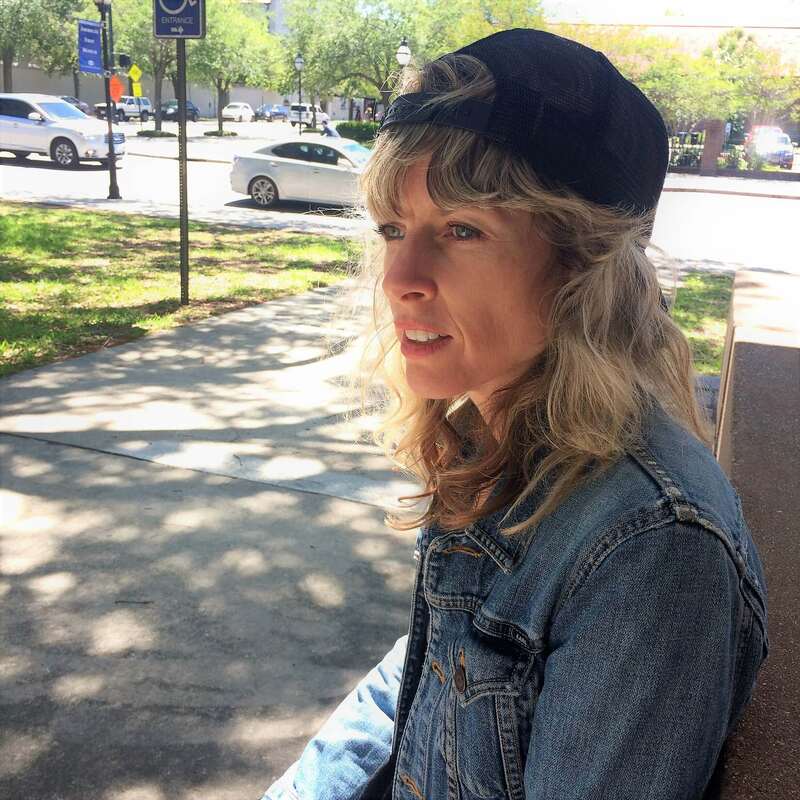 She also belongs to a collective of artists who put on immersive art events at Justine’s Brasserie here in Austin, and she volunteers for Truth Be Told, a writing program for incarcerated women in Lockhart, Texas.